I bought this sweet little fabric bird a while ago from UK-based Etsy store 5lovebirdsnest as a Christmas gift for my Mum. She was absolutely thrilled with the gift, which came carefully wrapped in tissue paper tied with string and finished with a handmade tag crafted from vintage paper and dried flowers - a really nice touch. 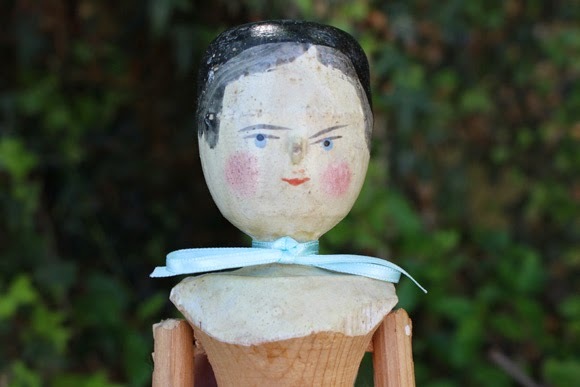 The bird itself is made from scraps of cotton neatly stitched together to form the patchwork body and wings. The adorably large feet are wire wound in cotton string and finished with a little fabric tag on one leg. 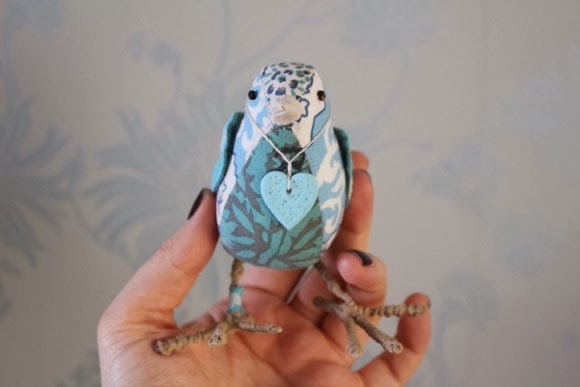 A little clay heart hangs around the bird's neck and is a nice finishing touch. 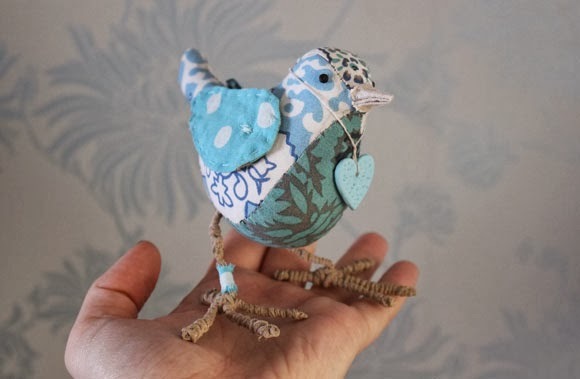 Fabric birds such as this can often come with quite a large price tag on Etsy, but I found 5lovebirdsnest to be very reasonably priced and Rita - who creates all the little fabric birds and critters - clearly puts a lot of time, effort and skill into every detail of the birds. So, if you're looking for a sweet gift ideas for a friend of loved one, it's well worth paying 5lovebirdsnest a visit. Street Art Files: One . . .